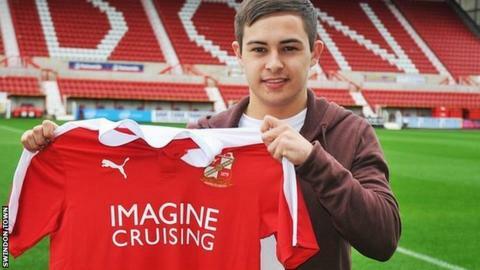 Grimsby have signed Swindon striker Jordan Stewart on loan until the end of the season. The 20-year-old joined the Robins from Northern Ireland side Glentoran in August but has only featured once for the League One team. He could make his debut for the Mariners in Saturday's home match against Wrexham. Paul Hurst's men are currently third in the table, 14 points off league leaders Cheltenham with three games in hand.